YA fantasy, y’all. So many sub-genres, so many fantastic characters (you know our love for Evangeline will never die), so much world-building FOMO (who else wants to be a Cerulean??) From epic, multi-book arcs, to powerful and succinct standalones, we cannot get enough fantasy. One of the best things about fantasy books, besides the battles, royal feuding, and romance galore, are the breathtaking and unique covers! 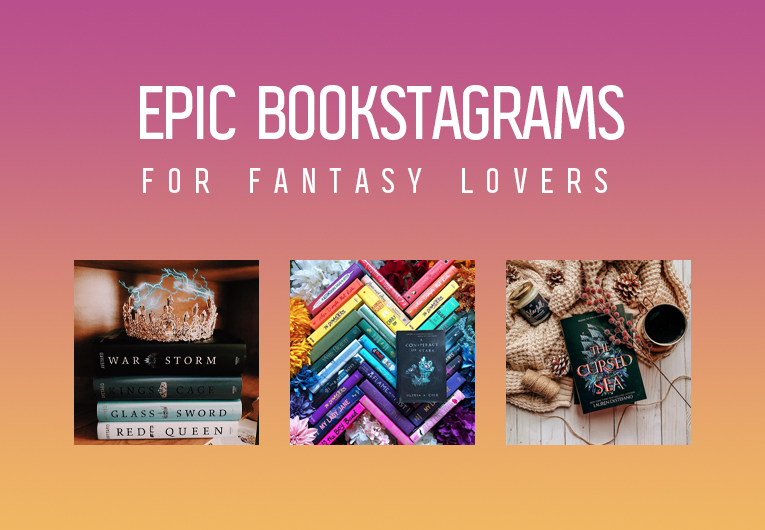 And since we love admiring stellar cover art almost as much as we love reading wonderful books, we’ve put together a lil list of some epic fantasy bookstagrams. Happy scrolling, fantasy fans! 1. All we have to say is YES, @thebookorder! Have you seen the cover for Broken Throne by @victoriaaveyard! Swipe to see the cover. I’m so obsessed with the look of this cover, I swear this series was blessed by the book gods. I’m really digging the purple, I feel it’ll look stunning next to the other books, but also make it stand out. . Broken Throne is a collection of short stories in the Red Queen universe. It’ll feature two previous novellas (glad I waited before buying those), three brand new novellas, maps, flags, bonus scenes, journal entries, and more exclusive content! . I think I’m most excited about Evangeline’s short story! She quickly became my favourite character from the series, and I loved her character arc. I can’t wait to read something solely about her (I also hope this is a teaser for a spin off novel/series featuring her, a boy can dream 😏)! . Are you excited for Broken Throne?! Thoughts on the cover?! 10. And rounded out with this irresistible Evermore shot from @acourtofbooksandcoffee!